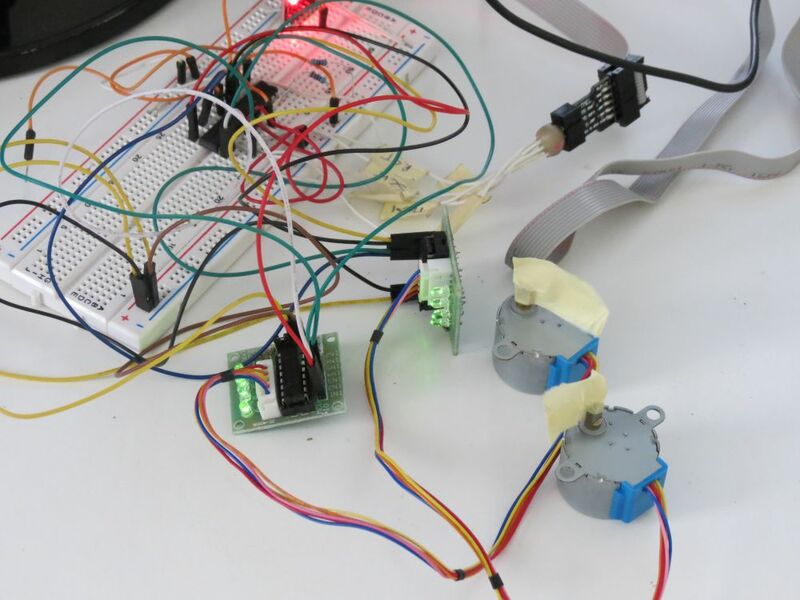 Stepper02 is an AVR Atmega stepper motor library that can drive up to 3 motors having different direction, type and speed with a precision of 256us per step @8Mhz. To drive a motors connect an ic driver between atmega pin and motor. Setup parameters is stored in stepper02.h files. So with this library Do I have individual control over motors or all the motors will be running synchronously ? Can you please help , I want to make 3 or 4 axis bipolar stepper driver. I m using L293D to achieve this. setup ports for the motors in file stepper02.h, then use the same functions used in example file to move the motors. Hi, Could you please indicate driver and IC model you used to driver stepper motors? I tried with L298 but it was not driving motors. I tried again with L293D and it drove motors but in an odd way and was not smooth at all. I am using Atmega32a and 42BYGHM809 WANTAI bipolar stepper motors. Hello, the one I'm using in this sample is a ULN2003A. You can find these cheap motors + driver on ebay or aliexpress. i want to drive 6 stepper motor using AVR Atmega series controller.is there any library for that. Thank You, your tutorials always help me..
Hello, you can use this project, you just havwe to change the TIMER0 register setup. 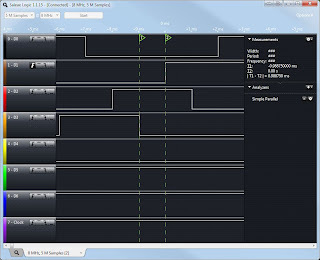 I suggest you to use PWM to drive motor if you need something more accurate, you can find my library here: http://davidegironi.blogspot.it/2013/11/driving-dc-motor-using-software-pwm.html but there are a few availbale. Here you can find a simple L298 schematics http://davidegironi.blogspot.it/2013/03/controlling-dc-motor-speed-and_6.html, you basically just need to connect the output PIN from your micro to the IC. Note: a scope can help you here investigating the PWM output signal of your micro. How did you manage to provide PWM from normal pins. And how is speed of the Stepper controlled? 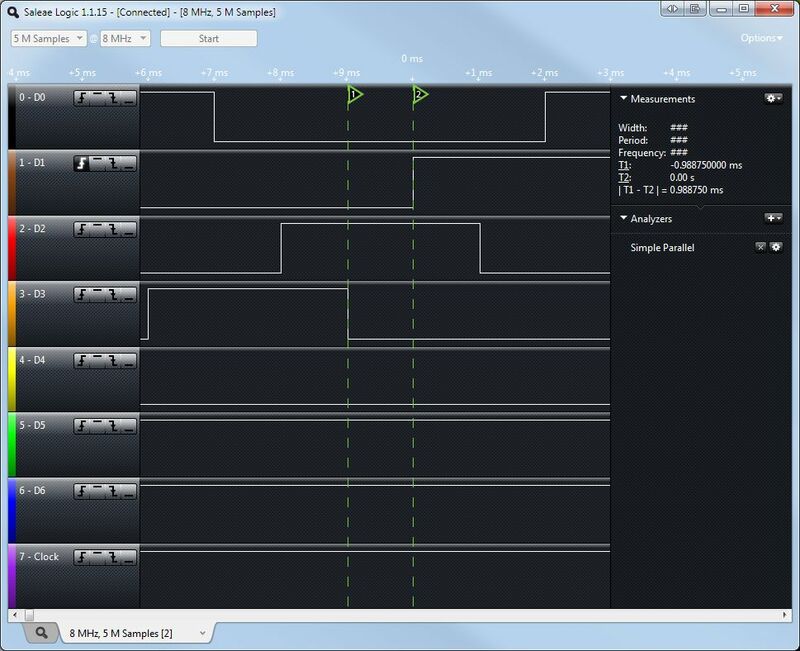 Are you using ICR1 register to change the frequency for controlling speed.